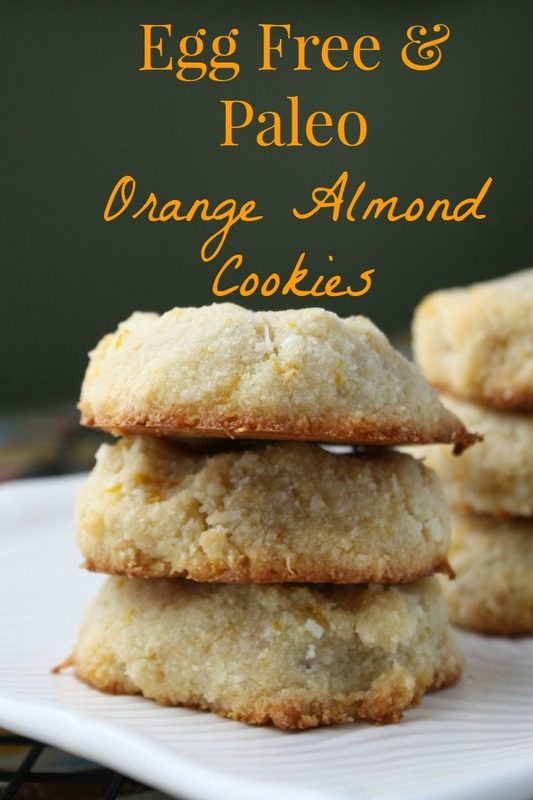 These simple Paleo vegan orange cookies celebrate a bright a clean citrus flavor with wholesome ingredients. I remember first stumbling upon my first glimpse of The Healthy Gluten Free Life in a magazine (Living Without?). It was just being published and I flagged it to pick up my local library when it finally made its way there. After all, here was a cookbook the purported to be healthy as well as gluten, dairy, soy, AND egg free! That was a lot of ‘free’s’ that fit perfectly into this household! Then a friend mentioned it with rave reviews. I dug a little further and found all the outstanding reviews on Amazon. So lacking any patience for something I hoped would be a gold mine, I ordered myself a copy pronto! Had I known I would meet Tammy herself at a local Gluten Free Expo, I would have waited to get it from the author herself! She is local to Oregon to boot, so cool! I was NOT to be disappointed on the arrival of this cookbook! On first glimpse, the cookbook is large, easy to read, and every single recipe has a beautiful full-color picture. There is a traditional index, but even cooler, a picture index! I have been wanting one of those on my blog for so long, and here it was in a BOOK! Tammy also has done a great job using much healthier gluten free ingredients with almost all being whole and real foods. No white rice flour here. She loves teff and sorghum, two of my favorites! What I would have given to have had this cookbook in my possession when I first started on this food allergy journey! It is a treasure trove of fabulous dishes and recipes that you AND your family will love for every course of food throughout the day. Tammy has taken the guess work out of the tricky job on blending GF flours to give you an ideal texture and flavor, and has not sacrificed nutrition in her 200 recipes. When I chose which recipe to share with you here ( I have made over 20 in her cookbook so far! ), I chose one I could enjoy today: grain-free!! 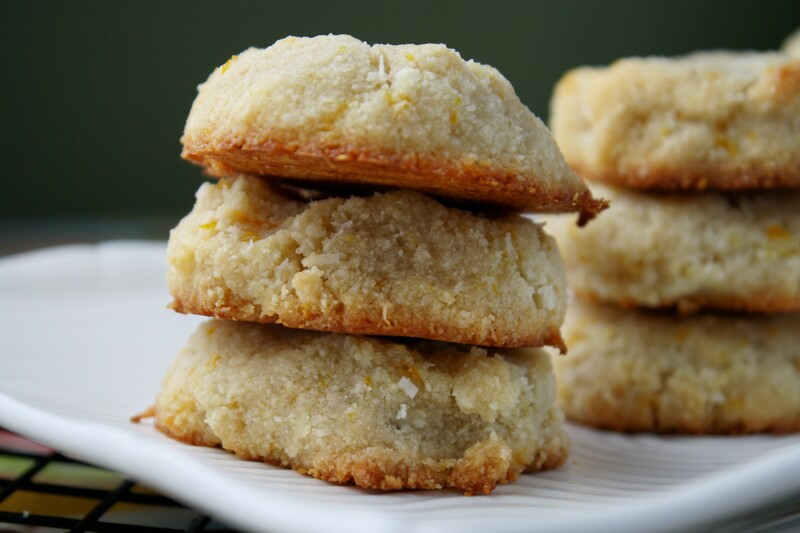 With super simple ingredients, these Orange-Almond Cookies are a perfect marriage of tender crumb and bright citrus flavor. If I didn’t know any different, I’d say they were loaded with butter!! A great snack, or a healthier treat, you and your family will love these simple, tempting cookies! Simple, healthy cookies bursting with bright orange flavor! 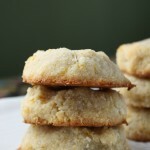 Whisk the flour, coconut, and zest together. Make in a well in the center of the dry and pour in all the remaining ingredients. Stir to combine. Roll roughly 8-9 balls of dough in your hands and press gently down on a greased cookie sheet. These do not spread or lift, so what you see is what you get! Bake for 10 minutes, or until bottoms are just turning golden. Do not overbake or you will dry them out!